WhisperingOak is nestled under beautiful California native oaks that give us inspiration. It has always been tradition in our family to sit around the table on a Saturday afternoon and work on crafts. Many times you could find three generations working together while drinking coffee. We created beautiful things to decorate our home. Children and adults alike enjoyed the different items that decorated our home for holidays, birthday celebrations, changes in seasons, and more. This created a tradition that brought us happiness and gratefulnes for every day we were able to celebrate. Our grandmother taught us how to make paper flowers and other paper crafts. My grandmother learned from her mother. My mother learned the delicate arts of embroidery, needlepoint, cross stitching, sewing and painting from nuns in her Catholic school. Her teachers were nuns that had come from various countries in Europe, such as, Portugal, Spain and Italy. To this day, my mother buys books and self teaches new techniques. Since neighbors and friends have always admired our crafts and the way we celebrate the seaons in our home, I decided to open our store on Etsy and share with everybody. My mother is the main artist. My sisters and I add our talent and designs to our items. We thank our followers and buyers for the appreciation and love they have shared with us and the warm welcome they gave us to Etsy. We also thank CEAG for the support and friendship that the team has given us. We are close to selling our 100th item. To celebrate and thank our buyers, we would like to offer a gift with purchase. 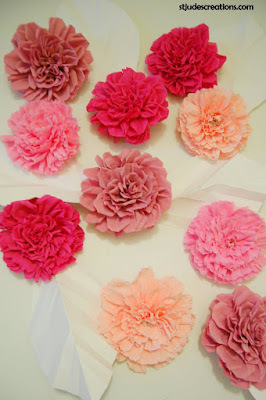 When the counter at Etsy turns to 100th item sold, we will ship the lucky buyer a Pink Blossoms Couple for free. So, come and visit us. On October 5, 1938, a young religious by the name Sister Faustina (Helen Kowalska) died in a convent of the Congregation of Sisters of Our Lady of Mercy in Cracow, Poland. She came from a very poor family that had struggled hard on their little farm during the terrible years of WWI. Sister had had only three years of very simple education. Hers were the humblest of tasks in the convent, usually in the kitchen or the vegetable garden, or as a porter. you see, with the inscription: Jesus, I trust in You.'" the just hand of God shall not lay hold of him." bitter grief into which the loss of souls plunges Me." and immerse them in My unfathomable mercy. It was they who gave me strength to endure My bitter Passion. Through them as through channels My mercy flows out upon mankind." Most Merciful Jesus, from whom comes all that is good, increase Your grace in men and women consecrated to Your service,* that they may perform worthy works of mercy; and that all who see them may glorify the Father of Mercy who is in heaven. Eternal Father, turn Your merciful gaze upon the company of chosen ones in Your vineyard -- upon the souls of priests and religious; and endow them with the strength of Your blessing. For the love of the Heart of Your Son in which they are enfolded, impart to them Your power and light, that they may be able to guide others in the way of salvation and with one voice sing praise to Your boundless mercy for ages without end. Amen. * In the original text, Saint Faustina uses the pronoun "us" since she was offering this prayer as a consecrated religious sister. The wording adapted here is intended to make the prayer suitable for universal use. and immerse them in the ocean of My mercy. These souls brought me consolation on the Way of the Cross. They were a drop of consolation in the midst of an ocean of bitterness." I was thinking also of them during My bitter Passion, and their future zeal comforted My Heart. Immerse them in the ocean of My mercy." *Our Lord's original words here were "the pagans." Since the pontificate of Pope John XXIII, the Church has seen fit to replace this term with clearer and more appropriate terminology. and immerse them in the ocean of My mercy. During My bitter Passion they tore at My Body and Heart, that is, My Church. As they return to unity with the Church My wounds heal and in this way they alleviate My Passion." *Our Lord's original words here were "heretics and schismatics," since He spoke to Saint Faustina within the context of her times. As of the Second Vatican Council, Church authorities have seen fit not to use those designations in accordance with the explanation given in the Council's Decree on Ecumenism (n.3). Every pope since the Council has reaffirmed that usage. Saint Faustina herself, her heart always in harmony with the mind of the Church, most certainly would have agreed. When at one time, because of the decisions of her superiors and father confessor, she was not able to execute Our Lord's inspirations and orders, she declared: "I will follow Your will insofar as You will permit me to do so through Your representative. O my Jesus " I give priority to the voice of the Church over the voice with which You speak to me" (497). The Lord confirmed her action and praised her for it. and immerse them in My mercy. These souls sorrowed most over my Passion and entered most deeply into My spirit. They are living images of My Compassionate Heart. These souls will shine with a special brightness in the next life. Not one of them will go into the fire of hell. I shall particularly defend each one of them at the hour of death. Show them Your mercy according to the hope and trust they have placed in You. Let there be accomplished in them the promise of Jesus, who said to them that during their life, but especially at the hour of death, the souls who will venerate this fathomless mercy of His, He, Himself, will defend as His glory. Amen. *The text leads one to conclude that in the first prayer directed to Jesus, Who is the Redeemer, it is "victim" souls and contemplatives that are being prayed for; those persons, that is, that voluntarily offered themselves to God for the salvation of their neighbor (see Col 1:24; 2 Cor 4:12). This explains their close union with the Savior and the extraordinary efficacy that their invisible activity has for others. 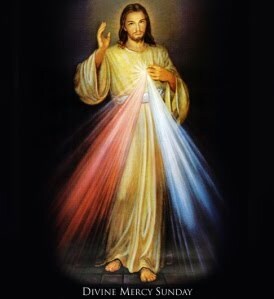 In the second prayer, directed to the Father from whom comes "every worthwhile gift and every genuine benefit,"we recommend the "active" souls, who promote devotion to The Divine Mercy and exercise with it all the other works that lend themselves to the spiritual and material uplifting of their brethren. and immerse them in the abyss of My mercy. Let the torrents of My Blood cool down their scorching flames. All these souls are greatly loved by Me. They are making retribution to My justice. It is in your power to bring them relief. Draw all the indulgences from the treasury of My Church and offer them on their behalf. Oh, if you only knew the torments they suffer, you would continually offer for them the alms of the spirit and pay off their debt to My justice." and immerse them in the abyss of My mercy. These souls wound My Heart most painfully. My soul suffered the most dreadful loathing in the Garden of Olives because of lukewarm souls. They were the reason I cried out: 'Father, take this cup away from Me, if it be Your will.' For them, the last hope of salvation is to run to My mercy." Most compassionate Jesus, You are Compassion Itself. I bring lukewarm souls into the abode of Your Most Compassionate Heart. In this fire of Your pure love, let these tepid souls who, like corpses, filled You with such deep loathing, be once again set aflame. O Most Compassionate Jesus, exercise the omnipotence of Your mercy and draw them into the very ardor of Your love, and bestow upon them the gift of holy love, for nothing is beyond Your power. Diary, Saint Maria Faustina Kowalska, Divine Mercy in My Soul (c) 1987 Congregation of Marians of the Immaculate Conception, Stockbridge, MA 01263. All rights reserved. Used with permission. Hello everyone! I hope that you are having a wonderful holy week! 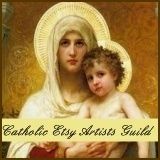 My name is Rebecca from Phoenix Art Studio on Etsy. I am having a spring sale to celebrate new life in my etsy shop. Enter coupon code SPRING to get 15% off of everything in my shop from now through Easter! 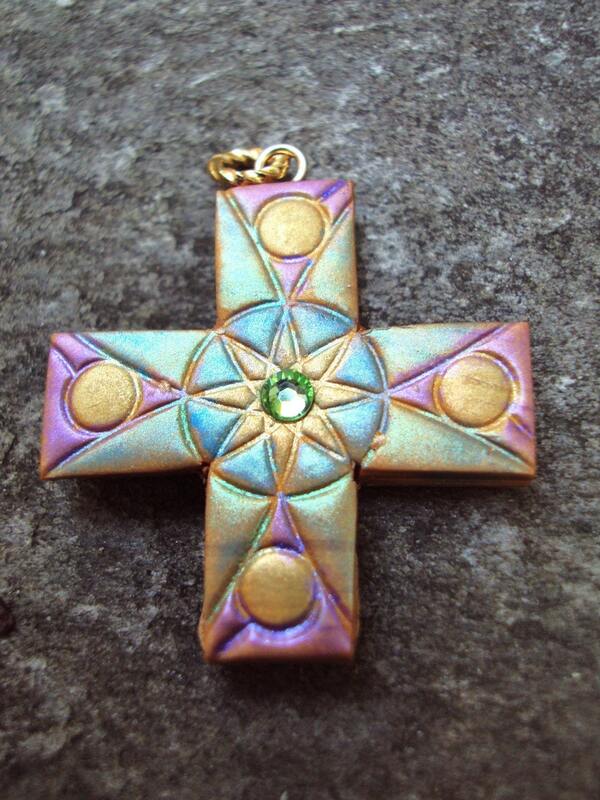 I have many unique 100% handmade crosses in my shop as well as other unique items. Enjoy and have a blessed week!! My name is Maria Noble and I run stjudescreations a handmade flower shop for all wedding and party needs. I am married with 2 beautiful children a now 5 yr old girl Ann and a 3 yr old Joseph so things do get hectic at home juggling everything. Here are a few of my items I create! You can browse my site on the top left. I am doing a promotion..Like me on facebook by clicking here and one random fan will be picked for a 20% off coupon code on any items here.Fan count is now 32.Offer expires when fancount reaches 100. 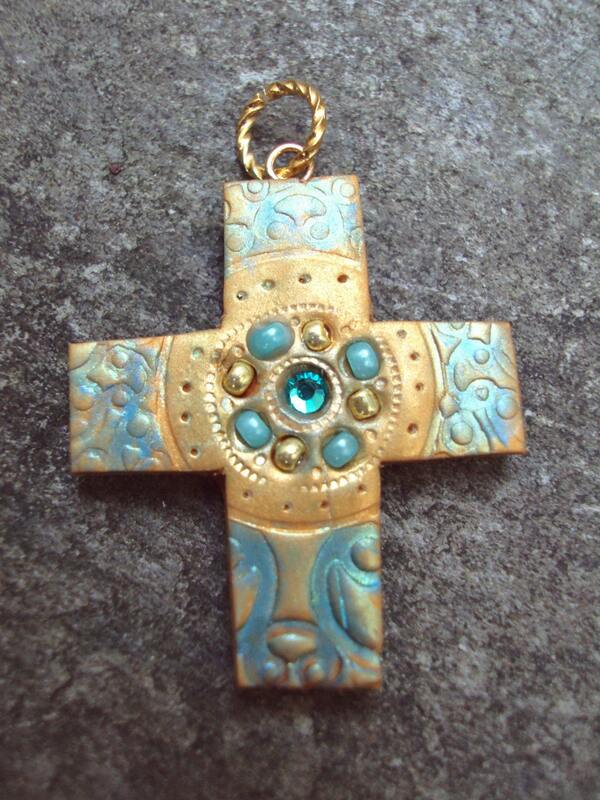 If you are already a fan then a post to facebook of any of my products will qualify for an entry. Please leave a post on my facebook page mentioning the post.